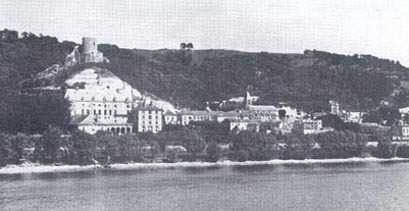 Headquaters of Armeegruppe B - Château La Roche-Guyon on the Seine. "Believe me, Lang, the first twenty-four hours of the invasion will be decisive...the fate of Germany depends on the outcome. For the Allied as well as Germany, it will be the longest day." Field-Marshall Rommel carefully spread a little honey on a slice of buttered bread. At the breakfast table sat his brilliant chief of staff, Gen.Lt Hans Speidel, and several members of his staff. There was no formality. The table talk was easy and uninhibited; it was almost like a family gathering with the father sitting at the head of the table. In a way it was a close-knit family. Each of the officers had been hand-picked by Rommel and they were devoted to him. 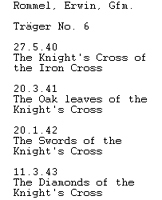 All of them this morning had briefed Rommel on various questions which they hoped he would raise with Hitler. Rommel has said little. He had simply listened. Now he was impatient to leave, He looked at his watch. "Meine Herrn", he said abruptly, "Ich muss abfahren". Outside the main entrance Rommel's chauffeur, Daniel, stood by the Field-Marshall's car with the door open. 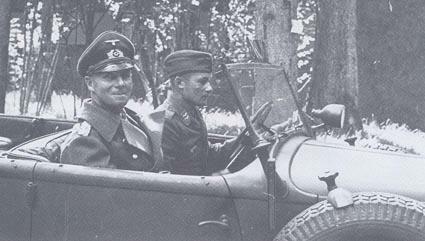 Rommel invited Oberst von Tempelhof, besides Lang the only other staff officer going with them, to ride with him in the Horch. Tempelof's car could follow behind. 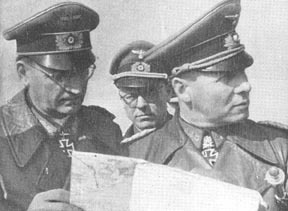 Rommel shook hands with each member of his official family, spoke briefly to his chief of staff and then took his usual seat next to the chauffeur. Lang and Oberst von Tempelhof sat in the back. "Jetzt können wir abfahren, Daniel", said Rommel. Slowly the car circled the courtyard and drove out through the main gate , passing the sixteen square-cut linden trees along the driveway. In the village it turned left to the main Paris road.